Ex-Liverpool player and now Sky Sports football pundit Jamie Redknapp claims that Manchester United manager Louis van Gaal can win the Premiership title if he just picks the strongest defence available to him. Following an impressive 3-0 win over Everton at Goodison Park last weekend, United finds themselves sitting third in the table just two points behind league leaders Manchester City who they take on in the local derby on Sunday knowing that a win and an Arsenal loss will see them go top. 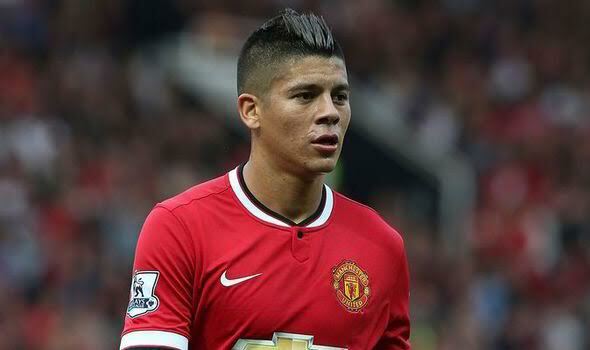 Redknapp claims that the title is there for United to take providing manager Louis van Gaal picks his strongest back-four, which in Redknapp’s opinion must include Marcos Rojo. ‘Against Arsenal Louis van Gaal got it badly wrong,’ wrote Redknapp in his Daily Mail column. ‘Ashley Young and Daley Blind are not natural defenders. If they played on Saturday, Romelu Lukaku would have eaten them up. ‘But Van Gaal realised his mistake and went back to Chris Smalling and Phil Jones. They relished the battle. And with Marcos Rojo and Matteo Darmian, Van Gaal had a proper defensive unit.